Dr. Martin attended a symposium in Ecuador in 2016 that inspired her to use her resources and abilities to serve learning programs in developing countries. With her prior experience as a nurse and nursing educator, she established Road Scholars/RN, a nursing company dedicated to providing services such as curriculum, policies and faculty development to institutions across the United States. She branched the company out to include an international reach, sending students and faculty to developing countries to aid in medical care. Students also receive an educational opportunity in this venture. Knowing from an early age that she wanted to help others, Dr. Martin attained a Master of Science as a nurse practitioner and earned a PhD in nursing. During her time in education, she was mentored by two of her role models, a dean and a professor. Throughout her career, she has provided medical care to patients and worked to nourish the young minds interested in career of health services as a nurse educator. 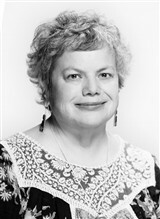 She has contributed to the Journal of Modern Poetry and is the author of a nursing textbook. Additionally, Dr. Martin is involved with the Children’s Place Foundation. She has recently been recognized with a Who’s Who of Professional Women, a Lifetime Achievement Award and an Industry Leaders feature. More about Dr. Martin can be found on her website: www.diann-martin.com or www.roadscholarsrn.com.